Vimeo announced today that it will provide global free streaming – from June 9th through June 12th – of the award-winning documentary SEMBENE!. From filmmakers Samba Gadjigo and Jason Silverman, the film celebrates filmmaker Ousmane Sembene, the “father of African cinema,” who spent decades shaping a meaningful, visionary cinema for a newly independent Africa. 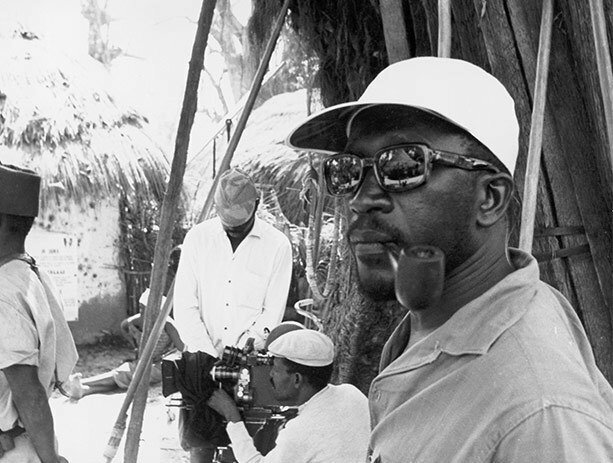 A film festival favorite, SEMBENE! made its world premiere at the 2015 Sundance Film Festival and subsequently screened at the 2015 Cannes Film Festival. The film is available to stream here: http://vimeo.com/ondemand/sembene. This global free stream is part of the project Sembene Across Africa, which is being billed as “the largest community screening in history.” With more than 100 free screenings in 38 African nations, along with other countries in the Diaspora, Sembene Across Africa has set the ambitious goal of gifting the story of a real-life African hero to the communities that will most appreciated it. Sembene Across Africa is supported by NGOs, universities, activists, educators, film festivals, cultural centers and local governments throughout the continent, with funding from the Ford Foundation, the Sundance Institute, and a Kickstarter campaign. Sembene Across Africa is motivated by Sembene’s desire—unfulfilled in his lifetime after 50 years of focused work—to return African stories to the African people. His works revisited history from African perspectives, called out corrupt leaders and celebrated what he called "the heroes of the everyday." Sembene spent 50 years making films and writing books in a tireless and forceful attempt to reorient Africans after generations of colonization. Unfortunately, 10 years after his death, Sembene—a true hero of cinema and of self-empowerment—remains unknown to most young Africans.